In the early evening of May 1st 1986, Lumiere Press was born. The debut of Edward Weston: Dedicated to Simplicity marked the beginning of the Lumiere Press photography publishing program. 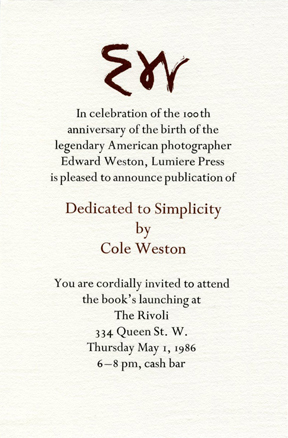 The launch, at the Rivoli restaurant in Toronto, was packed with well-wishers. The mood was buoyant - the experience transformative. Devotion to fine craft mixed with intellectual inquiry has defined a thirty-year journey of reward beyond all expectation. 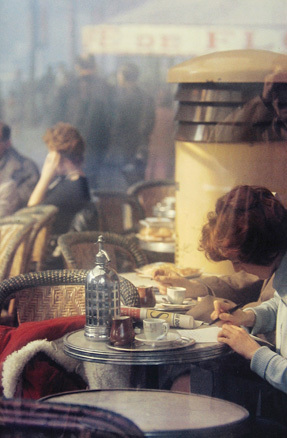 We are now in the midst of our latest project - a limited-edition book on the work of esteemed American photographer Saul Leiter, cast in lead type, hand printed and hand bound. The tradition in the workshop continues.